The Archipelago Trail is a 250 km long sea route that allows you to visit the beautiful Finnish archipelago even if you don’t know anything about sailing or boating. Today, The Archipelago Trail, or the Ring Road, is one of the country’s most popular tourist routes, which attracts around 20,000 tourists annually. The ring road can be travelled either by car, bicycle or motocycle. If you’re feeling lucky, you can even try hitchhiking! Whatever the mode of transport, there are plenty of interesting cultural attractions which are worth exploring along the beautiful trail. The whole Archipelago Trail can be accessed only in the summertime, as the ferry crossing between Houtskar and Iniö operates from the beginning of June to the end of August. If you haven’t got enough time for the whole ring road, the Small Archipelago Trail offers an alternative way to explore the archipelago along its 100 km long route. 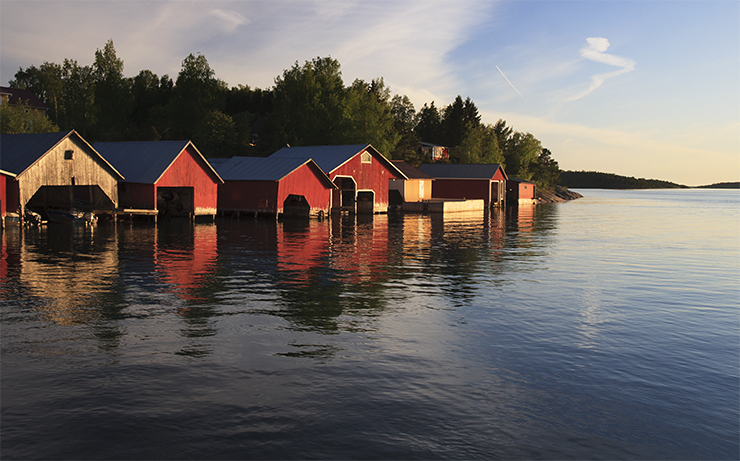 To get you started, we listed some of the most interesting stopping points in the archipelago.